- It will now print, the printer says "low toner" - just ignore! - Strange: it worked for the first 2-3 weeks, then suddenly I had this error message. This sounds like the input setting on your monitor is incorrect and the setting is defined by the type of connection you are is useing from the computer to the monitor (VGA, DVI, HDMI). Samsung t260 monitor would display for ~5 minutes then went dark. Then 20 seconds then went dark, now always dark. Is this my Inverter, or bad Caps? If you want to download free music. You can reach this aim by download music from Youtube, Last.fm, etc. Follow below steps, to know the detailed information. Leawo Music Recorder is a super recording software to help you record various kinds of music from multiple sources like online music like YouTube, computer audio, and built-in input audio. 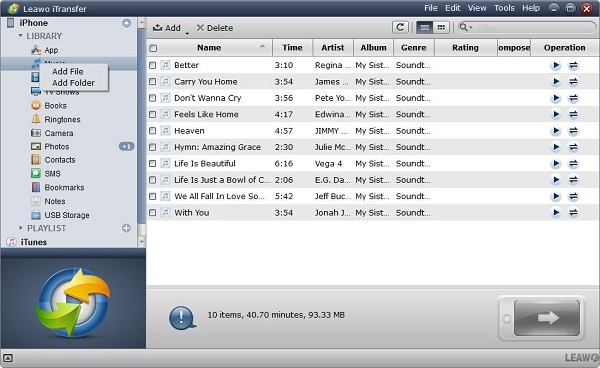 The recorded music files will be saved into an output format of MP3 or WAV. 1. Run Music Recorder on your computer and enter the recording interface. Audio source should set firstly before music recording. In order to record the music from YouTube, we should choose the option "Record Computer Audio". 2. Click the red button "Start" to make Leawo Music Recorder begin to work. Then play the music on YouTube. You should note that the music recorder should work prior to playing YouTube music. If you want to decide the start and duration time of the recorded music, just click the icon button "Task Scheduler" then you can finish this customized setting as per your requirement. Leawo iTransfer is a professional transfer program for transferring files between iOS devices, iTunes and computer. Various kinds of files are supported by this software such as music, apps and photos, etc. 1. Run Leawo iTranfer after you have downloaded the music on your computer. Connect your iPod with your computer via USB cable. The library of your iPod will be detected automatically and shown in the left sidebar of the window. I. Drag and drop the music files into iTransfer directly. II. Click the button "Add" on the upper part which is beside the left sidebar. III. Click the button File > Add > Add File/Add Folder on the top right corner of the window. IV. Right click on the library and select Add File or Add Folder. 3. A pop-up dialog will be shown once you finish adding files and press the "Transfer" button. The name and the quantity of the transferred files will be demonstrated to let you know the transferring percentage. Remember not to disconnect your Apple device to your computer until the transferring is completed. I forgot the password to my samsung galaxt tablet how do I get back on? I do not remember my pin number at the flashing line so therefore I can't open my Samsung galaxy 2 tablet and I want to have that PIN number totally disabled so this won't happen again. I have multiple wallpapers on my lock screen, how can I remove all but one. Have a manual for Samsung Products?